The International Oil and Gas Exhibition and Conference - KIOGE 2017 continuous the work and within its platform there are thousands of specialists, experts and scientists of the oil and gas industry from across the globe. European Business Association of Kazakhstan. Exhibitors present advanced technologies and state-of-art equipment for the oil and gas industry at their stands, and offer the services for guests and partners to solve tasks in terms of recoverable oil increase and reduction of oil production costs. 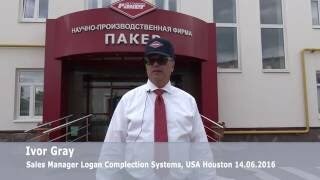 SPF Paker LLC in interested in long-term relations with any partners in Russian Federation and overseas. We supply high-quality equipment, provide warranty and service maintenance, services for engineering and technological support of packer and anchor equipment (erection, setting and releasing). Thanks to the attentive attitude towards the customer, SPF Paker is a standing partner.